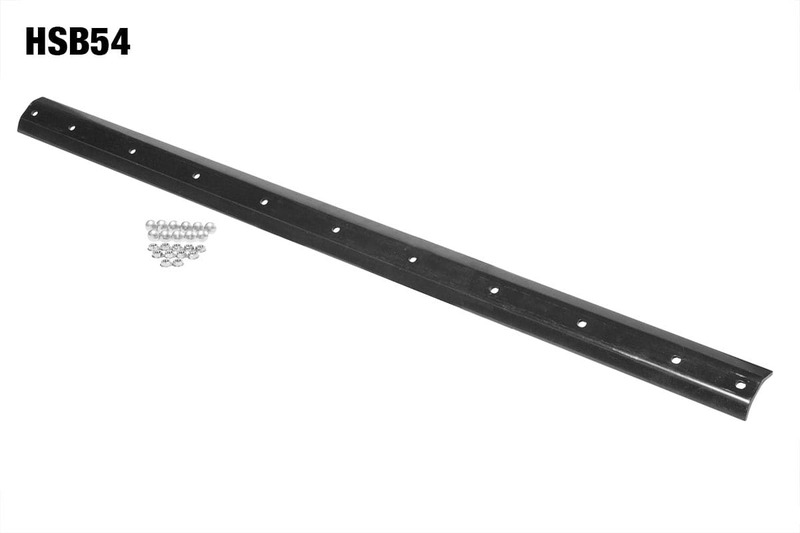 This John Deere snow blade replaces John Deere factory part #M135649 for 47″ models or M161359 for 54″ models. We made it from super wear resistant AR400 steel for maximum life and it includes stainless steel fasteners for easy installation on your compact or sub-compact tractor. The holes have been laser cut for a perfect fit. Our John Deere snow plow blade will last four to six times longer than the factory wear bar. Comes with fasteners for easy installation on your compact or sub-compact tractor. Made of super wear resistant AR400 steel for maximum life. Lasts four to six times longer than the factory wear bar. AR400 is a specialty steel designed at the chemical level for improved wear resistance for specific applications. The steel is relatively expensive to produce, costing much more than simple mild steels such as A36 or 1018. However, the steel’s special properties make it the only choice for applications such as blades in bulldozers. Because of the unique strengths of AR400, it is used in applications such as heavy machinery and steel plate applications. In addition to the abrasion resistance benefits, AR400 has increased impact resistance. What is the benefit of impact resistance? Digger blades and buckets on heavy machinery can not only withstand impacts from stones and other debris, but the constant movement of dirt doesn’t wear the steel down as quickly as other steels would. I have used Heavy Hitch wear components for my snowblowers made from AR400 steel . They cost more but wear long time compared to OEM making them much cheaper over time. Dad always said buy the best and only cry once! Ordered a new one then noticed that the old one could be turned around for more life. Thanks HH for saving me money on wear parts.